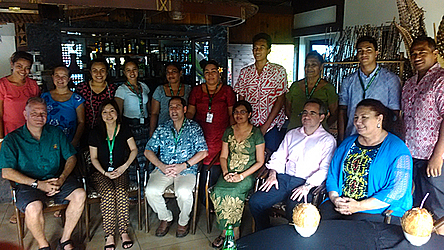 The Secretariat of the Pacific Regional Environmental Programme (S.P.R.E.P) in partnership with USAID and Internews held their 2 day GeoJournalism workshop on Thursday last week. Representatives of different media offices in Samoa gathered at the S.P.R.E.P office at Vailima to learn the importance of strengthening environmental journalism which will lead to the building of community resilience to climate change. Participants had the privilege of hearing from guest speakers such as James Fahn an environmental journalist from Internews; Anne Rasmussen of M.N.R.E; S.P.R.E.P’s climate advisor Espen Ronneberg and other renowned environmental specialists. The main focus of the workshop was to help the Media in using their national reach to inform the country about environmental issues. Local journalists were then treated to a field trip to Palolo Deep reserve on the final day of the workshop where they were shown the many different angles in which you can attack a single environmental story. Mr. Fahn during his presentation on climate change gave detailed lessons on how journalists should be dealing with the climatic phenomena of global warming. “The most important thing is that we tell stories, we need to work on turning this big global warming issue into local stories that appeals to your audience” Mr. Fahn said. This workshop will now include our local journalists in the Earth Journalism Network project. “We have a project called Earth Journalism Network which is a global community of now over 8000 journalists around the world who cover environmental issues” Mr. Fahn said. According to Mr. Fahn the workshops focus is vast and not limited to just climate change. 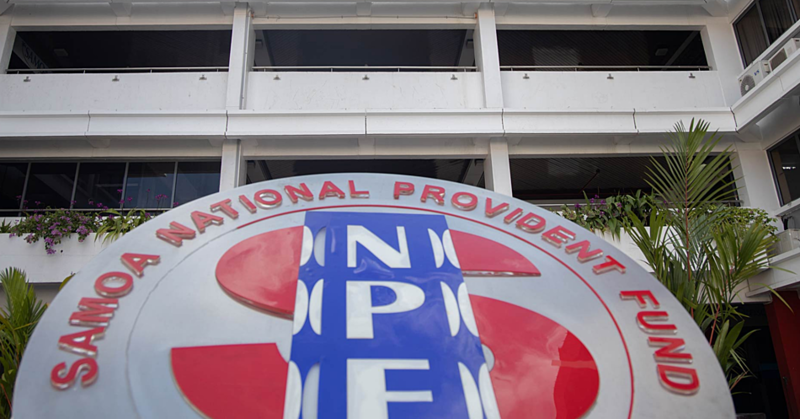 “We focus on not just climate change but also with biodiversity, conservation, environmental health, forestry, oceans and many different topics” Mr. Fahn said. 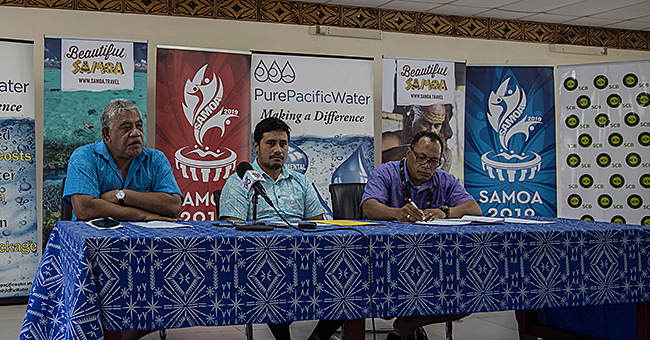 “Which is part of what brought me to Samoa; we want to help pacific island journalists better understand climate change and other related issues. “So they can not only cover it accurately but also in an appealing and understandable way for their audience” Mr. Fahn said. These workshops will be favorable in the long run as local journalists build more of an understanding of what’s happening to the planet and environmental stories will be “stories of the century”. This is the first time Mr. Fahn has been part of a workshop like this in Samoa and he was impressed with how Samoan journalists are open to learning more on environmental issues. 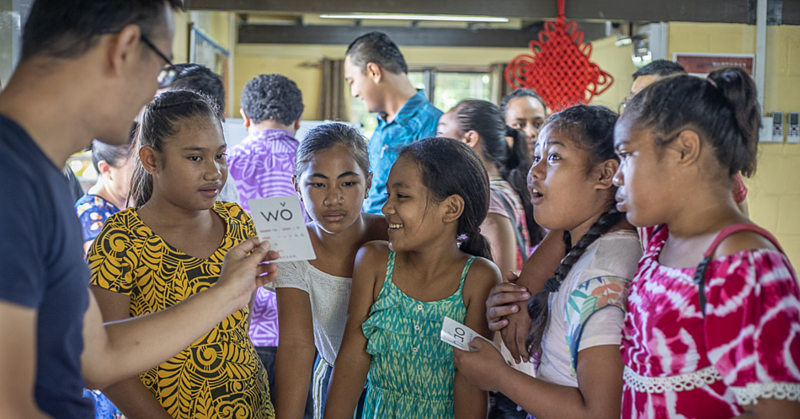 “The workshop in Samoa was very good, I enjoyed meeting the journalists and working with them, they seemed very open and receptive and engaged” Mr. Fahn said. “We had some good discussions and it wasn’t just me lecturing them. I like it when we have good discussions and people are asking good questions and really trying to figure out how best to cover the environment. These trainings have already proved helpful for a few other countries. “A lot of journalists who have trained have won awards and prizes for their environmental journalism coverage” Mr. Fahn said. Each local journalist received a certificate of completion during a small award ceremony at Manumea hotel at the end of day 2.